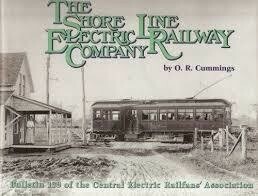 The Shore Line Electric Railway Company (CERA) $10.00 OFF! 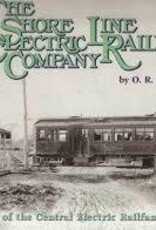 Home / The Shore Line Electric Railway Company (CERA) $10.00 OFF! The Shore Line Electric Railway Company One of the nation's most unprofitable traction companies during the otherwise prosperous 1910-1024 period was Connecticut's Shore Line Electric Railway. At its height from mid-1916 until mid-1919, the Shore Line Electric Railway operated a nearly 230-mile system that included almost 17 miles of main track in the adjacent state of Rhode Island. Competition from paralleling steam railroads and the private automobile resulted in the abandonment of various lines beginning in 1920, with all operations ending in 1924. Perhaps best remembered for its distinctive center entrance interurban cars, the Shore Line system was conceived in 1905 as a 30-mile line paralleling Long Island Sound from Stony Creek in Branford (a New Haven suburb) to Old Saybrook and then north through the Connecticut River Valley to Essex. The system was quickly expanded to include the lines of the New London and East Lyme Street Railway, the Norwich & Westerly Traction Company, and the entire New London Division of the Connecticut Company. Read the complete story of one of new England's most remarkable electric railways as related by noted traction historian O. R. Cummings. Hardcover with dust jacket. New in shrink wrap. Series: Bulletin Series, #139 168 pp., 141 photos.